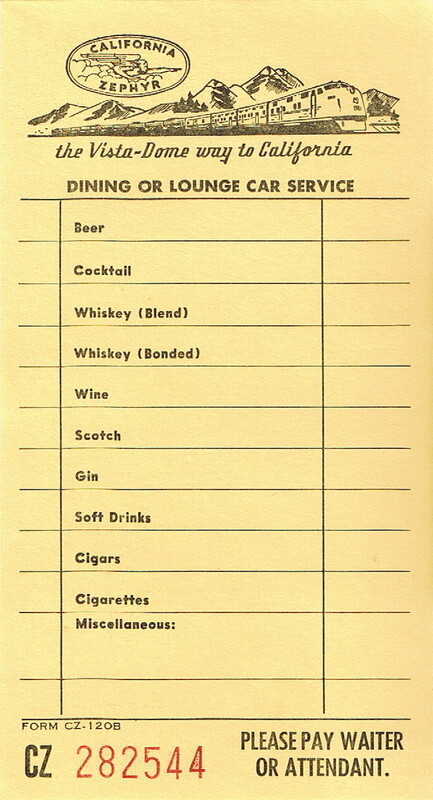 Description Chicago, Burlington & Quincy (CB&Q) California Zephyr Dining or Lounge Car Service Meal Check. The Vista-Dome way to California. 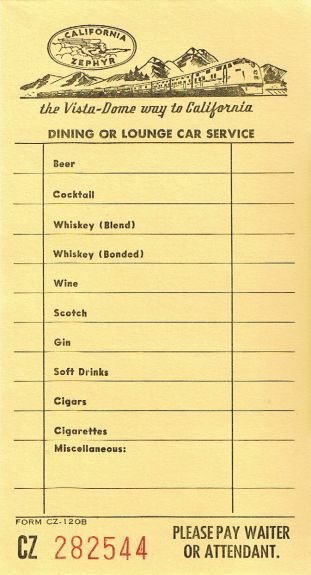 Please pay Waiter or Attendant. Used for snacks and drinks.